LOS ANGELES (AP) — According to filmmaker David Lynch, all it takes are 70 ideas to make a feature film. LOS ANGELES (AP) — Spike Lee's first-ever competitive Oscar award turned a mostly staid ceremony into one with joy and passion, but that later gave way to frustration. LAWRENCE, Kan. (AP) — University of Kansas professor Kevin Willmott is an Oscar winner. NEW YORK (AP) — This Broadway smash even made news on Hollywood's big night. BEVERLY HILLS, Calif. (AP) — Amandla Stenberg brought the audience to their feet as she talked of being protected by the ancestors. DURHAM, N.C. (AP) — Duke might have to figure out what the Zion Show will look like without its namesake. And Zion Williamson could have some things of his own to consider, too. DURHAM, N.C. (AP) — Zion Williamson blew out his shoe, and then No. 8 North Carolina blew out top-ranked Duke. LOS ANGELES (AP) — It's a big week for Ruth E. Carter, who on Sunday could become the first African-American to win an Academy Award for costume design through her Afro-futuristic wardrobes in "Black Panther." But before that show, Carter will receive a career achievement award Tuesday at the 21st annual Costume Designers Guild Awards. Would anyone — anyone at all — like to thank the academy? 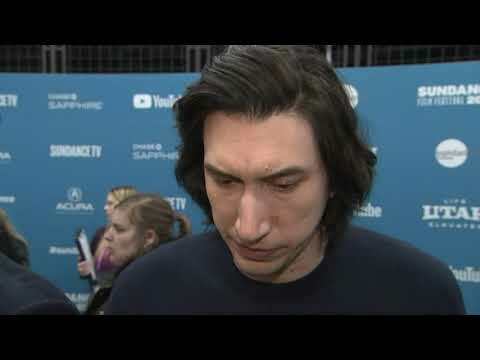 This is normally the time of year when Oscar hopefuls are readying acceptance speeches that almost always begin with a few words of gratitude for the Academy of Motion Pictures Arts and Sciences. But that sentiment has been hard to come by in the torturous and troubled lead-up to the 91st Academy Awards. LOS ANGELES (AP) — Steven Spielberg, Lady Gaga, Spike Lee and Glenn Close have a message for Supreme Court Justice Ruth Bader Ginsburg: Get well soon. 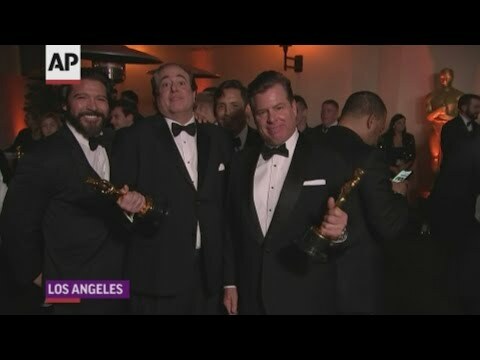 LOS ANGELES (AP) — Responding to widespread backlash to the fact that four Oscars will be presented during commercial breaks at the 91st Academy Awards, the film academy has issued a statement saying that all Academy Award winners will still be included in the broadcast on Feb. 24. LAWRENCE, Kan. (AP) — A Kansas screenwriter who co-wrote Spike Lee's latest film, the Oscar-nominated "BlacKkKlansman," is setting his sights on his next project: a documentary about poet Langston Hughes. 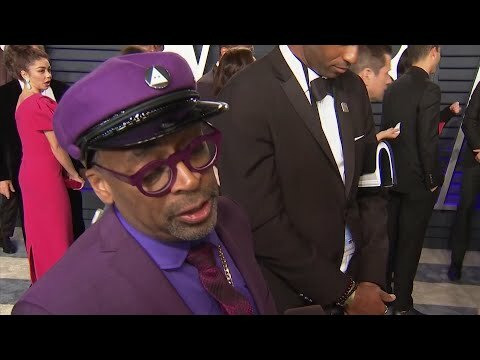 MILAN (AP) — Director Spike Lee said Friday he will no longer wear Gucci or Prada until the brands hire some black designers following a pair of blackface fashion fails from the major Italian fashion houses. Lee said on Instagram that "It's Obvious To Da Peoples That They Don't Have A Clue When It Comes To Racist, Blackface Hateful Imagery. WAKE UP." LOS ANGELES (AP) — "Roma" director Alfonso Cuaron has won the top honor from the Directors Guild of America and solidified his spot as the Oscar front-runner. Cuaron won out over Spike Lee for "BlacKkKlansman," Bradley Cooper for "A Star Is Born," Peter Farrelly for "Green Book" and Adam McKay for "Vice" at the 71st DGA Awards Saturday night in Los Angeles. Since 1948, there has been only seven times that the DGA winner did not take the Academy Award for directing. 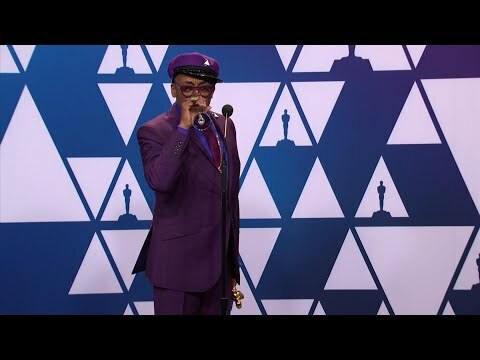 NEW YORK (AP) — Spike Lee watched the Oscar nominations Tuesday morning on television from his bed, with his wife, Tonya, his two grown children, Satchel and Jackson, and their dog, Ginger. — "Cinema needs the opportunity to be diverse. What mainstream cinema and the theatrical experience has lacked in general is diversity. And I'm talking about diversity in terms of stories and characters and ways of doing films." — Alfonso Cuaron, nominated for best director for "Roma," one of ten nominations for the film. Via phone interview. — After more than 30 years and some two dozen films, Spike Lee received his first Academy Award nomination for best director for "BlacKkKlansman." It's also the first time one of his movies has been nominated for best picture. Best picture: Black Panther," ''BlacKkKlansman," ''Bohemian Rhapsody," ''The Favourite," ''Green Book," ''Roma," ''A Star Is Born," ''Vice." Best director: Alfonso Cuaron, "Roma"; Spike Lee, "BlacKkKlansman"; Pawel Pawlikowski, "Cold War"; Yorgos Lanthimos, "The Favourite"; Adam McKay, "Vice." NEW YORK (AP) — Bradley Cooper, Alfonso Cuaron and Spike Lee are among the nominees for the Directors Guild of America award for outstanding directorial achievement. The DGA announced its five nominees Tuesday in one of the most closely watched guild awards leading up to next month's Academy Awards. Cuaron is nominated for his personal black-and-white drama "Roma," Cooper for his "A Star Is Born" remake and Lee for his white supremacist tale "BlacKkKlansman." LOS ANGELES (AP) — The wine was flowing and the atmosphere relaxed Friday at the American Film Institute Awards, which brought out some of Hollywood's brightest stars of the moment, from Emily Blunt to Michael B. Jordan, for a celebratory luncheon in Los Angeles. 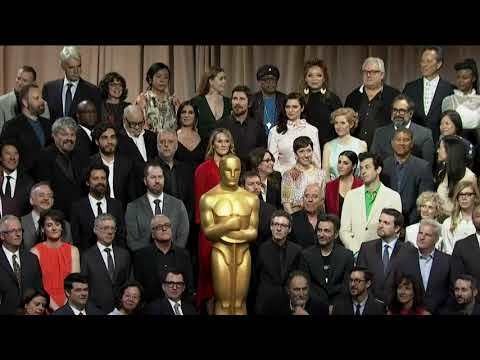 PALM SPRINGS, California (AP) — Bradley Cooper, Spike Lee, Olivia Colman and other Oscar contenders kicked off Hollywood's 2019 awards season with an emotional trip to the desert city of Palm Springs. The Palm Springs International Film Festival gala was a familiar setting for Cooper, who received director of the year honors on Thursday. He had presented the same trophy to his "Silver Linings Playbook" director David O. Russell six years ago, and filmed key "A Star is Born" scenes in the area. 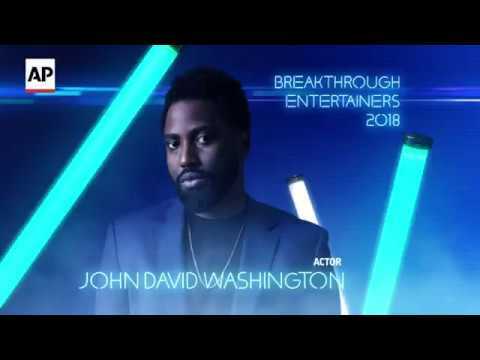 LOS ANGELES (AP) — John David Washington comes from a strong acting lineage, but he has carved out his own identity as a powerful actor, earning a Golden Globe nomination and generating Oscar buzz for his standout role in Spike Lee's "BlacKkKlansman."